Hiroshima Ujina Amity school is the fifth school in Hiroshima City. 5 years have passed since opening, and more than 350 students enjoy English at Ujina school. We offer a variety of classes to suit a wide range of ages and levels. Come and join us!! 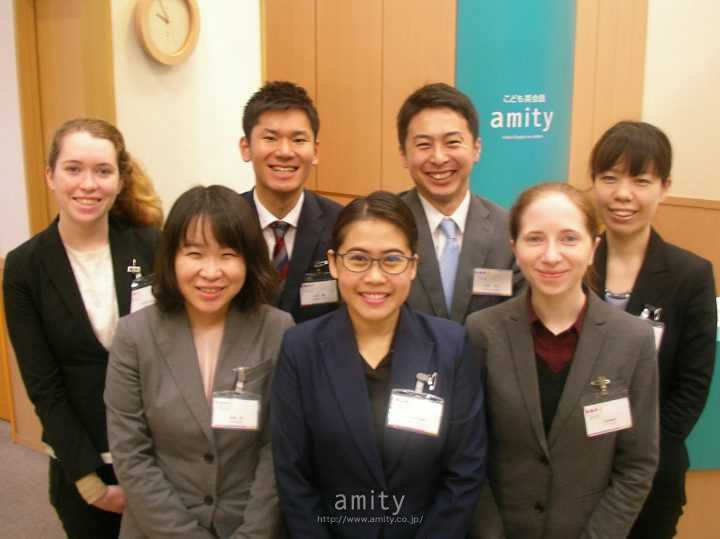 All Amity teachers are professionaly trained to teach English to children. We can't wait for you to join us! Babies from ages 6 months to 3 years old can learn English with their mommy at Amity. The goal is that they will become bilingual! We use IT board to teach English. Our i Lesson is fun and easy to understand! You can check the i Lesson video at the top page. We encourage students to take STEP test and TOEIC/TOEIC Bridge test to motivate them. Students can take those tests here at amity. 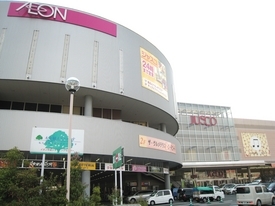 There are many stores located in Aeon shopping center, such as a bookstore, a 100 yen store, several clothing stores, and a gym. The shopping center is full of choices for lunch; Italian, curry, hamburgers & fries, Korean, Chinese, Japanese, Okonomiyaki, etc. There is also Starbucks in the shopping center.